The dominant trend in the 2000s, in fiction films, in documentaries, in the vanguard itself, from the innovative quality point of view – if you still believe as I do in the aesthetic value – is that of a neo-experimental way of Italian cinema. This phenomenon has nothing to do, if not historically, with the Italian avant-garde of the 60s and 70s, but was born from a creative crisis in traditional narrative cinema and in the so-called cinema of reality. It rises – not unexpectedly, for those like me who have always placed great importance on the "margins" – from the dissatisfaction of many authors against stabilized forms of expression. These are ill-adapted to the needs of new content creation. The traditional movie theatre, whose access is filtered by producers and distributors aliens to innovation, it's now just one of many channels of visibility. Meanwhile came the DVDs and the web. And new open projection places not considered within the industrial system, including museums and art galleries. The digital media then allowed new filmmakers to produce works at a lower cost and also to put into practice its "pictorial" specificity. We no longer need to praise the "margins"; we must now recognize that a large number of feature films – to which it would be fair to add short films – clearly indicates a movement (if not a "school", because each project continues to operate on its own, in isolation, and because we cannot find stylistic similarities between the various works) that emerged specifically in the last decade. Between 2000 and 2005 some feature films have excelled (I just mention, here and elsewhere, one title per director and I do not keep account of the authors of the 60s): Il mnemonista (2000) by Paolo Rosa, L'amore probabilmente (2001) by Giuseppe Bertolucci, Un'ora sola ti vorrei (2002) by Alina Marazzi, Al primo soffio di vento (2003) by Franco Piavoli, Il ritorno di Cagliostro (2003) by Daniele Ciprì and Franco Maresco, Oh! Uomo (2004) by Yervant Gianikian and Angela Ricci Lucchi, Passato presente (2005) by Tonino De Bernardi. While, among the more traditional narrative film I would indicate Domani (2000) by Francesca Archibugi, Aprimi il cuore (2002) by Giada Colagrande and Non ti muovere (2004) by Sergio Castellitto. Among the documentaries Asuba de su serbatoiu (2001) by Daniele Segre and Echi di pietra (2003) by Sara Pozzoli. 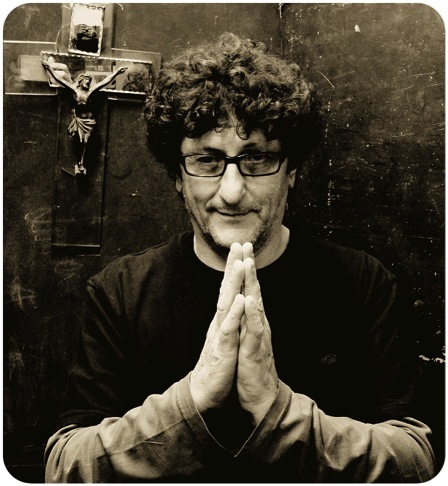 In the production of short films we see Paolo Gioli and the collective canecapovolto from Catania. In recent years, I do not deny it, we had very good films even in a traditional narrative context, also involving cinema of reality. I recognize the value of narrative filmmakers like Daniele Gaglianone with Pietro (2010), Alice Rohrwacher, Luigi Lo Cascio and Leonardo Di Costanzo with their first narrative films (Corpo celeste, 2011, La città ideale, 2012, L'intervallo, 2012), Uberto Pasolini (an Italian who lives and works in London) with Still Life (2013), Mirko Locatelli with I corpi estranei (2014), Claudio Caligari with Non essere cattivo (2015), Emanuela Piovano with L'età d'oro (2015- 2016) – especially in the director's cut version –, Paolo Virzi with La pazza gioia (2016). I also appreciate the value of documentary filmmakers like Daniele Segre and Gianfranco Pannone. But between 2006 and 2016 we witness to an explosion of neo-experimentalism (only six movies are strictly fictional, the others are "unidentifiable objects"): Flòr da Baixa (2006) by Mauro Santini, Tramas (2007) by Augusto Contento, Valzer (2007) by Salvatore Maira, Puccini e la fanciulla (2008) by Paolo Benvenuti, Storia di una donna amata e di un assassino gentile (2007-2009) by Luigi Faccini, La bocca del lupo (2009) di Pietro Marcello, Le quattro volte (2010) by Michelangelo Frammartino, Terramatta (2012) by Costanza Quatriglio, Su Re (2012) by Giovanni Columbu, Bellas mariposas (2012) by Salvatore Mereu, Il viaggio della signorina Vila (2012) by Elisabetta Sgarbi, Sangue (2013) by Pippo Delbono, Abacuc (2014) by Luca Ferri, N-capace (2014) by Eleonora Danco, Terra (2015) by Marco De Angelis and Antonio Di Trapani, Montedoro (2015) by Antonello Faretta, Per amor vostro (2015) by Giuseppe Gaudino, Ofelia non annega (2016) by Francesca Fini, Spira mirabilis (2016) by Massimo D'Anolfi and Martina Parenti, Lepanto – Último cangaçeiro (2016) by Enrico Masi. Among the short films I remember those of the collective Flatform, Igor Imhoff animated films, Dalla testa ai piedi (2007) by Simone Cangelosi, No More Lonely Nights (2013) by Fabio Scacchioli and Vincenzo Core, Tomba del Tuffatore (2015) by Yang Cheng and Federico Francioni, Iconostasi (2015) by Morgan Menegazzo and Mariachiara Pernisa. All these authors are not alone. I have not included in my list other worthy titles (almost all are documentaries). I remember them: Tre donne morali (2006) by Marcello Garofalo (an essay film), Il peggio di noi (2006) by Corso Salani, Il sol dell'avvenire (2008) by Gianfranco Pannone, Morire di lavoro (2008) by Daniele Segre, Radio Singer (2009, short feature) by Pietro Balla, In amabile azzurro (2009) by Felice D'Agostino and Arturo Lavorato, La vita al tempo della morte (2009) by Andrea Caccia, Formato ridotto. Libere riscritture del cinema amatoriale (2012, short feature) by the collective Home Movies, El impenetrable (2012) by Daniele Incalcaterra and Fausta Quattrini, Il treno va a Mosca (2013) by Federico Ferrone and Michele Manzolini, Memorie – In viaggio verso Auschwitz (2014 ) by Danilo Monte, Senza di voi (2015, short feature) by Chiara Cremaschi, Habitat: note personali (2014, short feature) by Emiliano Dante, My Sister Is a Painter (2014, short feature) Virginia Eleuteri Serpieri (another essay film), I ricordi del fiume (2015) by Gianluca and Massimiliano De Serio, Love Is All. Piergiorgio Welby. Autoritratto (2015) by Francesco Andreotti and Livia Giunti, Filmstudio, mon amour (2015) by Toni D'Angelo, Il negozio (2016) by Pasquale Misuraca (documentary or fiction? ), Sassi nello stagno (2016) by Luca Gorreri, La natura delle cose (2016) by Laura Viezzoli, Mancanza-Purgatorio (2016) by Stefano Odoardi (an UFO). (And it's up to others to judge my critofilms of these years). Too many titles? I will take the responsibility and be generous – if I seem so – in these circumstances it's a virtue. The longer version of this essay is only in Italian.